Shabrish S et al. Natural Killer Cell Degranulation Defect: A Cause for Impaired NK-Cell Cytotoxicity and Hyperinflammation in Fanconi Anemia Patients. Front. Immunol. 2019. Domvri K et al. Th2/Th17 cytokine profile in phenotyped Greek asthmatics and relationship to biomarkers of inflammation. Respiratory Medicine (2019). Available online 5 April 2019. Shabrish S et al. 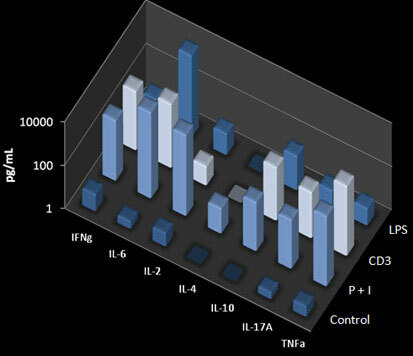 IFN-g:IL-10 Ratio: a Putative Predictive Biomarker to Discriminate HLH From Severe Viral Infections. J Clin Immunol. 2019 Feb 19. Dring KJ et al. Cytokine, glycemic, and insulinemic responses to an acute bout of games-based activity in adolescents. Scandinavian Journal of Medicine & Science In Sports 2019; 1-9. Kimura M, et al. Neutrophilia and hyperamylasemia in patients with immediate food allergy. Pediatrics International, 2018. Liang H, et.al. Elevated peripheral blood B lymphocytes and CD3+CD4-CD8-T lymphocytes in patients with non?small cell lung cancer: A preliminary study on peripheral immune profile. Oncology Letters. 2018, 15: 8387-8395. Shimomura M, et. al. Increased serum cortisol on oral food challenge in infants with food protein-induced enterocolitis syndrome. Pediatrics International, 2018, 60: 13-18. Boutsikou E, et.al. Tumour necrosis factor, interferon-gamma and interleukins as predictive markers of antiprogrammed cell-death protein-1 treatment in advanced non-small cell lung cancer: a pragmatic approach in clinical practice. Therapeutic Advances in Medical Oncology, 2018, 10: 1-8. C. Dentone et al. Inflammatory effects of atazanavir/ritonavir versus darunavir/ritonavir in treatment na?ve, HIV-1-infected patients. HIV Clinical Trials 19 (4), 158-162, 2018. He Y, et.al. Increased Soluble CD137 Levels and CD4+ T-Cell-Associated Expression of CD137 in Acute Atherothrombotic Stroke. Clin Transl Sci, 2018, 11: 428-434. Tlili A, et al. Phlebotomus papatasi Yellow-Related and Apyrase Salivary Proteins Are Candidates for Vaccination against Human Cutaneous Leishmaniasis. Journal of Investigative Dermatology. 2018, 138: 598-606. Schliefsteiner C, et. al. Human Placental Hofbauer Cells Maintain an Anti-inflammatory M2 Phenotype despite the Presence of Gestational Diabetes Mellitus. Front Immunol, 2017, 8: 888. Song X, et al. Effect of perioperative intravenous lidocaine infusion on postoperative recovery following laparoscopic cholecystectomy-A randomized controlled trial. International Journal of Surgery, 2017, 45: 8-13. Miyagawa I, et. al. Induction of Regulatory T Cells and Its Regulation with Insulin-like Growth Factor/Insulin-like Growth Factor Binding Protein 4 Human Mesenchymal Stem Cells. J Immunol, 2017; 199:1616-1625. Li F, et al. Cytokine profiles in papillary thyroid carcinoma, with or without Hashimoto’s thyroiditis. European J Inflammation, 2017, 15: 257-261. Timperi E, et al. Regulatory T cells with multiple suppressive and potentially pro-tumor activities accumulate in human colorectal cancer. OncoImmunology, 2016, 5: e1175800. Xing Y et al. Human cytomegalovirus infection contributes to glioma disease progression via up-regulating endocan expression. Translational Research, 2016, Nov;177:113-126. Loegl J, et al. Hofbauer cells of M2a, M2b and M2c polarisation may regulate feto-placental angiogenesis. Reproduction, 2016, 152: 447-455. Leclaire MD et al. Lipofuscin-dependent stimulation of microglial cells. Graefes Arch Clin Exp Ophthalmol. 2019 Jan 28. Yin Y, et al. Human umbilical cord-derived mesenchymal stem cells direct macrophage polarization to alleviate pancreatic islets dysfunction in type 2 diabetic mice. Cell Death & Disease. 2018, 9:760. Schroff A, et al. Knockout of autophagy gene, ATG5 in mice vaginal cells abrogates cytokine response and pathogen clearance during vaginal infection of Candida albicans. Cellular Immunology, 2018, 324: 59-73. Deng P, et al. The herbal decoction modified Danggui Buxue Tang attenuates immune-mediated bone marrow failure by regulating the differentiation of T lymphocytes in an immune-induced aplastic anemia mouse model. PLOS One 2017. Suda J, et al. Knockdown of RIPK1 Markedly Exacerbates Murine Immune-Mediated Liver Injury Through Massive Apoptosis of Hepatocytes, Independent of Necroptosis and Inhibition of NF-κB. J Immunol, 2016, 197: 3120-3129. Gu Q, et al. 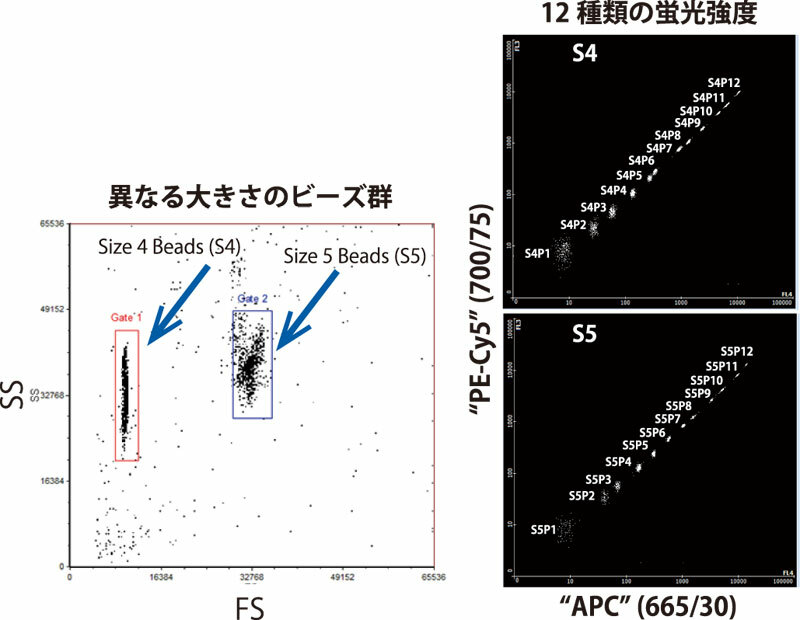 Genomic characterization of a large panel of patient-derived hepatocellular carcinoma xenograft tumor models for preclinical development. Oncotarget, 2015, 6: 20160-20176. Fan X, et al. Berberine alleviates ox-LDL induced inflammatory factors by up-regulation of autophagy via AMPK/mTOR signaling pathway. Journal of Translational Medicine, 2015, 13: 92. Breyne K, et al. Non-Classical ProIL-1beta Activation during Mammary Gland Infection Is Pathogen-Dependent but Caspase-1 Independent. PLoS ONE 2014, 9(8): e105680. Gamallat Y, et al. Probiotic Lactobacillus rhamnosus modulates the gut microbiome composition attenuates preneoplastic colorectal Aberrant crypt foci. Journal of Functional Foods 53 (2019) 146-156. Hou Y, et al. Protective effects of Jiayan Kangtai granules on autoimmune thyroiditis in a rat model by modulating Th17/Treg cell balance. Journal of Traditional Chinese Medicine 38 (3), 380-390, 2018. Yang J, et al. Hypoxia Inducible Factor 1α Plays a Key Role in Remote Ischemic Preconditioning Against Stroke by Modulating Inflammatory Responses in Rats. J Am Heart Assoc, 2018, 7: e007589. Dong w, et al. Dampness-Heat Accelerates DMBA-Induced Mammary Tumors in Rats. Chin J Integr Med, 2017. Tang H, et al. Effect of inhibitors of endocytosis and NF-kB signal pathway on folate-conjugated nanoparticle endocytosis by rat Kupffer cells. International J Nanomedicine, 2017, 12: 6937-6947. Ren W, et al. Pharmacokinetic-Pharmacodynamic Analysis on Inflammation Rat Model after Oral Administration of Huang Lian Jie Du Decoction. PLoS ONE 2016, Jun 9;11(6). Xu S, et al. Salvianolic acid B inhibits platelets-mediated inflammatory response in vascular endothelial cells. Thromb Research, 2015, 135: 137-145. Zhang Y, et al. Research on the analgesic effect and mechanism of gabapentin on rat model with tibia metastatic cancer pain. Chinese J Biochemical Pharmaceutics, 2014, 3: 8-15.